Note: English text at the end! En times kjøring fra Værnes gjennom Hegra og Meråker bringer deg til Teveltunet, et steinkast fra svenskegrensen. Her har det vært drevet hotell i lange tider, men nytt av året er at man også kan tilby eget øl til gjestene – både de som overnatter på hotellet og de som har sin vei forbi. Jeg blir tatt imot av Ole Fredrik Haarsaker, som i tillegg til amnge andre funksjoner på det familiedrevne hotellet også brygger øl. Han har ikke noen bryggerifaglig bakgrunn, og har faktisk heller ikke drevet som hjemmebrygger. Det har ikke vært noen hindring. Han berømmer andre trønderske bryggere for raushet og gode råd, spesielt Klostergården og Austmann. Ole Fredrik brygger flere øltyper i butikkstyrke, det vil si at de kan kjøpes med fra gårdsbutikken, der det også er saft og syltetøy, flatbrød, lokalt kunsthåndverk og ost å få kjøpt. Det er også en kafédel med skjenkebevilling, slik at man kan nyte en øl eller en kaffe innendørs eller utendørs. Teveltunet ligger ikke langt fra Storlien og de flotte fjellområdene der. Planen er å bygge et skitrekk i den retningen for å få flere skiturister. Og da passer det selvfølgelig å ha hjemmebrygget øl til After ski. Jeg får smake på de ølene som er tilgjengelige, og her er det et fint spenn. På fat i lavvoen inne på området er det en Kölsch, og det kan hende det blir standardbrygget i stedet for å satse på en egen pils. Det er jo ikke så store avstand smaksmessig mellom disse øltypene, og da kan det være morsomt å servere noe annet. Kanskje blir det også servering i små glass slik de gjør det i Köln. Ølet er gyllent, fruktig, men med fin tørr ettersmak. Forfriskende, men med fin karakter. 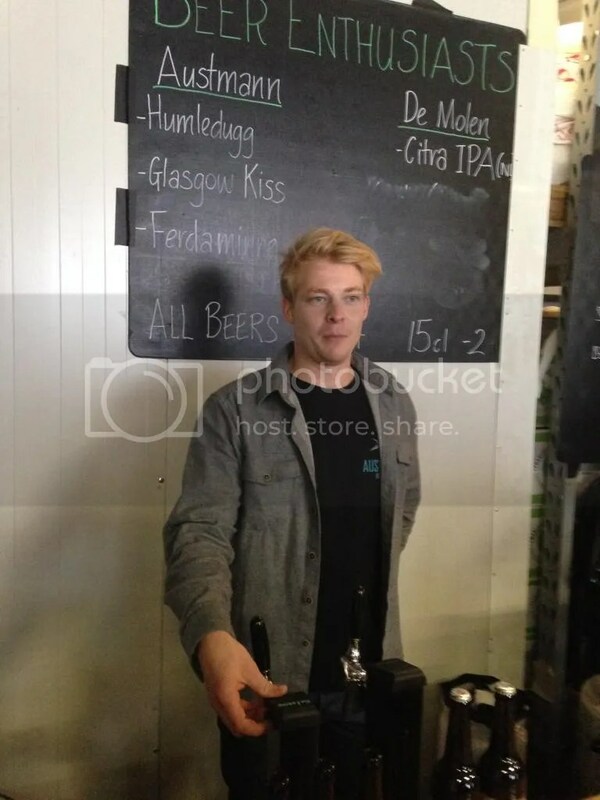 Jeg får også prøve en Tripel, som er brygget med Meråkerhonning og tørket einebær. Disse ingrediensene gir ølet en fin aroma, og gjæren har nok spist det meste av honningen, slik at det ikke blir for søtt. En brown ale har rik maltsødme og et hint av sjokolade. Det mest spennende ølet er porteren. Den er brygget med malt fra Hegra, og har en flott, kraftig røykaroma. Smaken har også røykpreg, men ikke like kraftig, den blir balansert med en god porsjon maltsødme. Dette er en glimrende start. Teveltunet er en merkevare i Trøndelag, og det er nok helt riktig å bruke det som navn på bryggeriet og ølene. Samtidig er lokale ingredienser med på å gi et særpreg, som jeg håper det er det som skal til for at dette prosjektet skal gå bra. Foreløpig er ølet i salg på Teveltunet, se nettsidene for åpningstider, men det er også håp om at de blir å finne i flere butikker etter hvert. The Trøndelag region in the middle of Norway has it all – coastal archipelagos, rivers and fjords, broad agricultural plains, forests and mountains. The mountains are most majestic close to the border with Sweden, and the road from Trondheim Airport towards Sweden is fairly busy, especially during the winter. Just a few kilometers before the border, we are close to the tree line, and the landscape opens up. This is where you find Teveltunet, a conference center, hotel, outdoors adventure center – and brewery. The brewery and shop/café is yet to open for the day, but brewer Ole Fredrik Haarsaker greets me and invites me in. The summer is a quiet period here, but the autumn conference season has started up, and he is keen to offer his guests local food – and local beer. He has started on a very small scale, brewing for the guests of the hotel and visitors to the shop. And hopes to expand gradually. A sensible range of four beers are available. A brown ale, a porter and a tripel in bottles, and a nice Kölsch on tap.The tripel is too strong for take out sales, so you’ll have to enjoy that on the spot. 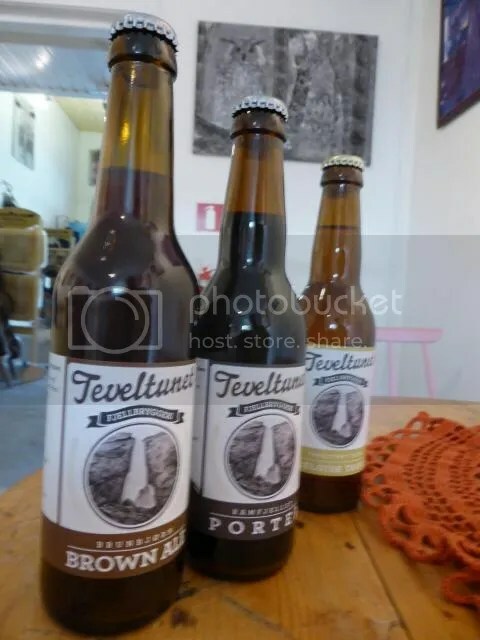 Two of the beers are particularly interesting – the tripel is brewed with local honey and dried juniper berries, wich add a very pleasant aroma. The porter has some smoked malt from a farm in the area, giving some Stjørdalsøl edge to the beer. The smoke comes through quite strong in the aroma, but is more subtle as you sip. The shop also has cheese from the area, freshly ground coffee, lemonades and juices. They plan to sell home made sausages, too. There are local handicrafts, too, and they have a licence to sell beer for drinking in front of the shop. Add amazing scenery, mountains for hiking or skiing, and peace and quiet. There are bus connections from Trondheim, and you can also take the Trondheim-Ôstersund train and be picked up at the station. You want to pop over the border for some Swedish craft beer? While the small town Storlien is very close, you have to go to Åre to find any decent beer, 60 kilometers away. I don’t read many beer books. As a matter of fact, I buy slightly more beer books than I actually read. I interact a fair bit with other beer bloggers, but I don’t even read them as systematically as I did. The demise of Google reader is partly to blame. A blogging duo which I have followed for years is an exception.Jessica Boak and Ray Bailey have a love of language as well as a love of beer, and, have a personal voice between them that is personal, not private. 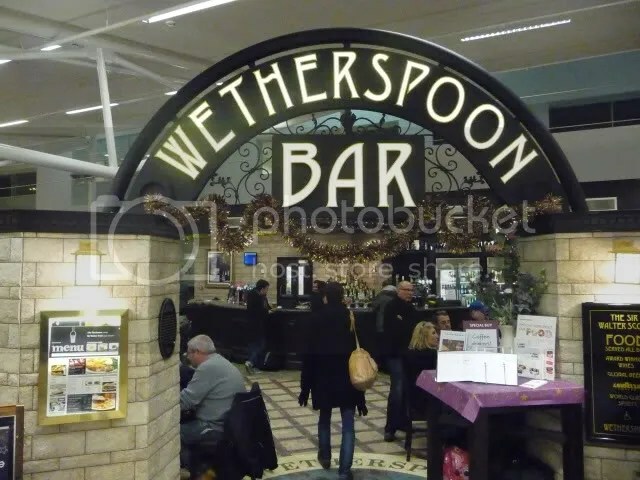 They moved out of London and settled in South Western England some years ago, showing yet again that you dont have to be based in a major city to play a part in the beer writing community. They have been open about their bigger projct for a long time, putting together a history of British beer over the last five decades, starting with the early beginnings of The Society for the Preservation of Beers in the Wood (SPBW among friends) and CAMRA and ending up with the fantastic diversity of today. They have researched this in depth, using a long list of printed and oral sources. Their blog has been used cleverly for crowd sourcing information. 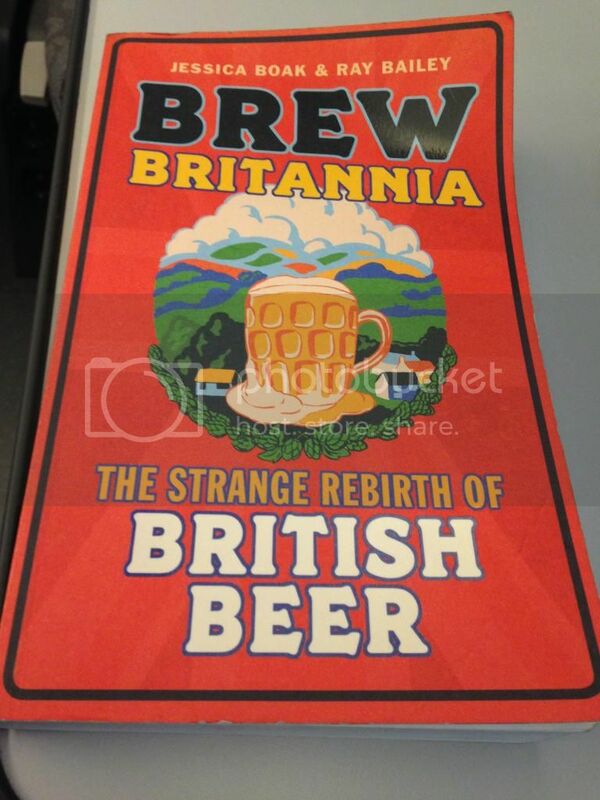 The result, Brew Britannia, is impressive. It is a story of businesses that thrive or fail, of consumer rebellion, of enthusiasm and organizational strife. And, given the topic, a story of English eccentricity told in such a way that a smile and a chuckle is never far away. In addition to the well told main part of the book, there are appendixes and comprehensive notes, even an index, which you don’t find too often nowadays. (You’ll even find me in the index, which is, come to think of it, even rarer). When you write a book like this, you have to choose what to include and what to leave out. I have followed the British beer scene for most of this period, and I did not find any omissions to point out. Go ahead. This won’t end up on the shelf with the unread beer books. And it’s in paperback, meaning you can read it on the bus, which is more than you can say about the heavier tomes full of glossy photos. It’s beer festival time. I try not to envy people flying off to Bergen, Borefts, Stavanger – or planning for a week of drinking at the 2015 Copenhagen Beer Celebration. I limited myself to the Grünerløkka Brygghus festival last weekend, and I made a point of being there early on Saturday afternoon. Lots of friendly brewers represented, particularly nice to have a chat with the guys from out of town – Austmann, Lindheim, Voss, and Halden. 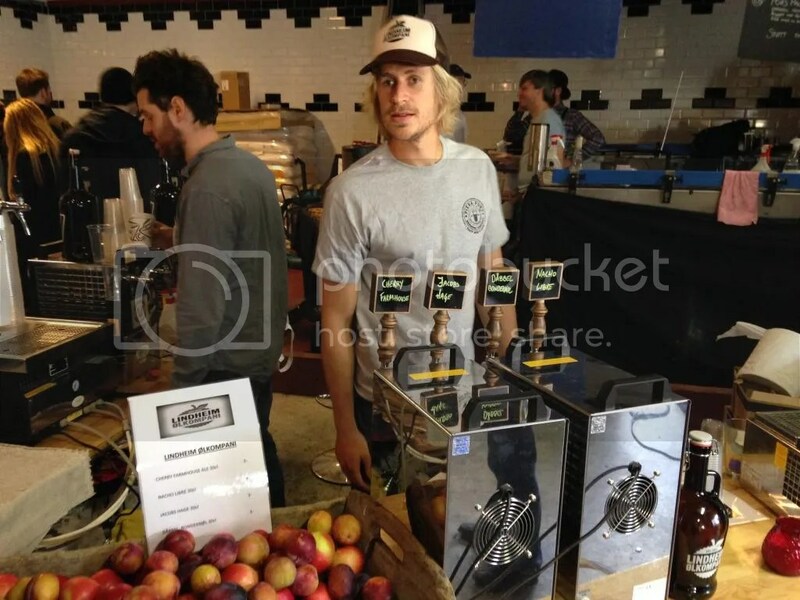 The festival took place in the brewery itself, giving a nice, rustic, down-to-earth atmosphere. They have chosen to keep this a small event, year after year, and as a drinker, I applaud this. Voss and Lindheim. The plums were as good as the brews! Sensible sampler sizes, and lots of interesting beers. A very pleasant raspberry gose from Lindheim, a spicy 13% imperial stout on cask from Nøgne Ø, two wild yeast beers from Halden. 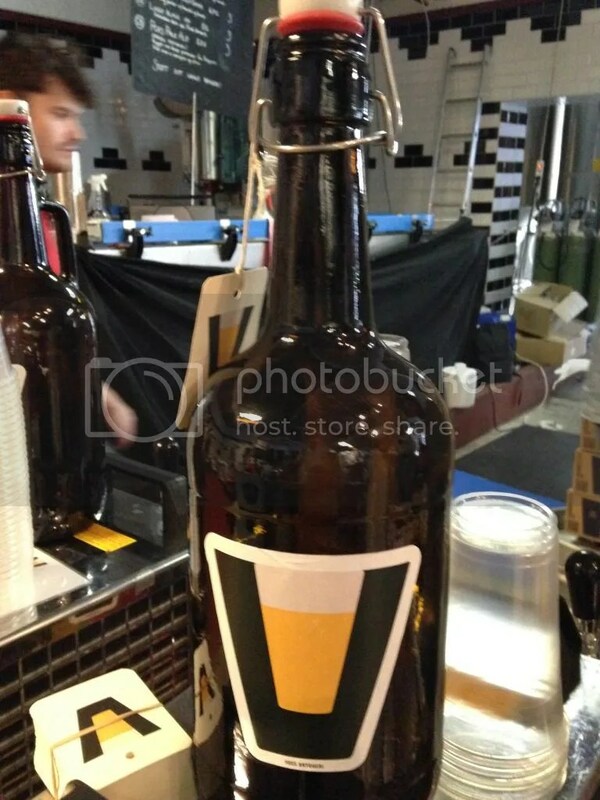 But the star of the show was the traditional ale from Voss, brewed with an old yeast strain that’s been used in home brewing in the area and was saved in the nick of time. The beer is rather sweet and malty, as they have used a very low amount of hops to let the yeast be the star.I’ll have to get back to this one to make better tasting notes. Several of the breweries report good sales of takeaway beers, filling up growlers at their brewery shop. There is a very heated discussion in Sweden at the moment, as the government retail monopoly Systembolaget has changed its policy on the distribution of beer from small domestic breweries. There is a general election coming up, which means that this also is of interest for the politicians. Lawmakers and bureaucrats are in a bit of a twist – one one side there is pressure for a more liberal approach, allowing direct sales of beer, cider and wine from the producers to the public. On the other hand, this could undermine the monopoly, as foreign producers and their importers won’t have the same possibilities and will probably use legal means to challenge the changes. We are talking about a lucrative market with lots of buying power. Systembolaget, obviously, want to keep their retail monopoly intact, and they have made some changes from 1 September. Their new rules include: Beer from small scale breweries may be sold in up to ten Systembolaget shops within a 100 kilometer radius from the brewery. The brewery is allowed to do the deliveries themselves. In town and cities, this will mean that the customers will have to visit a number of shops to find beers from different breweries. In rural areas, there will often be less than ten shops within the 100 km radius. 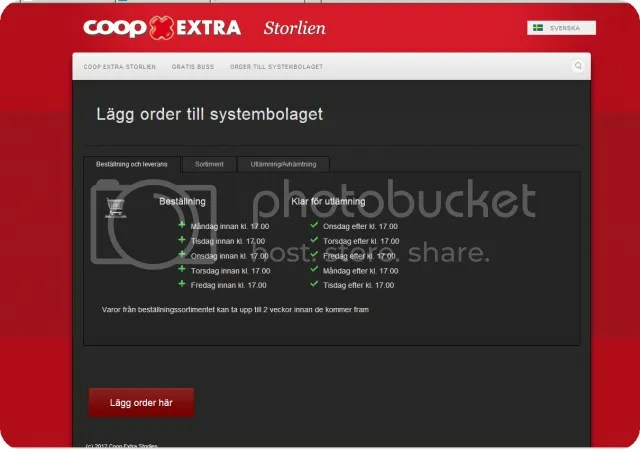 The breweries will still have the option of listing their beers for specioal order through the Systembolaget shops. But they will then have to deliver the beers to the central depot in Örebro. 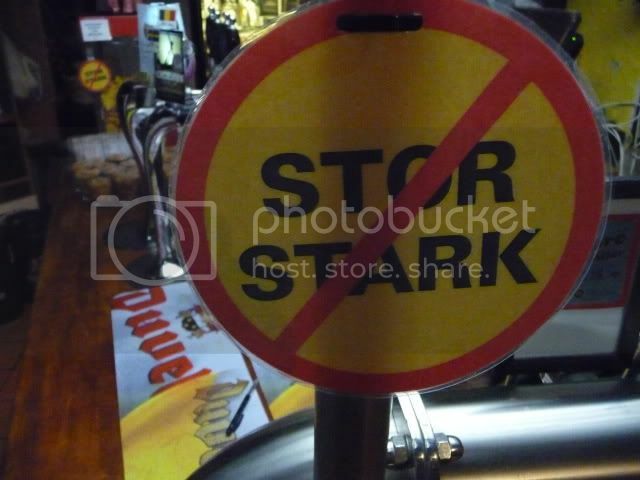 Systembolaget claims that the depot does not have any warehouse capacity, meaning the breweries have to deliver every order by itself, at the brewery’s expense. This does not make sense economically for most of the smaller ones, who are now withdrawing their beers from the special order list. 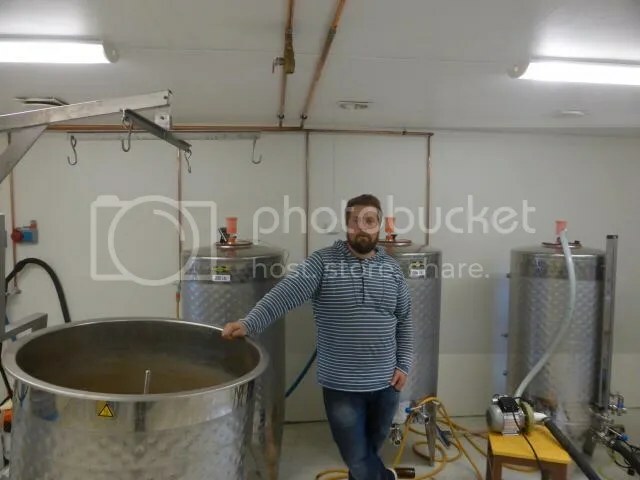 A better account than the above is to be found on the BeerSweden site, they have published a press release from small scale brewery Beerbliotek (in English). But I have a personal story to add. 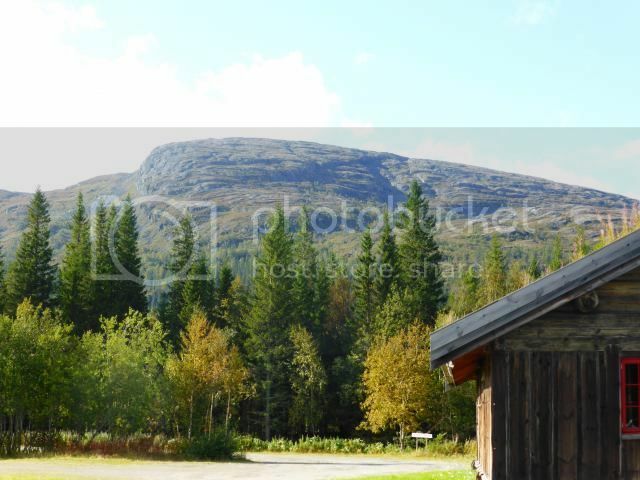 Later this week, I plan to visit a new micro brewery in Teveldalen, a conference/ tourist resort an hour’s drive from Trondheim, a stones’s throw from the border with Sweden. I thought I’d use the opportunity to cross the border to Storlien and buy a few Swedish beers. 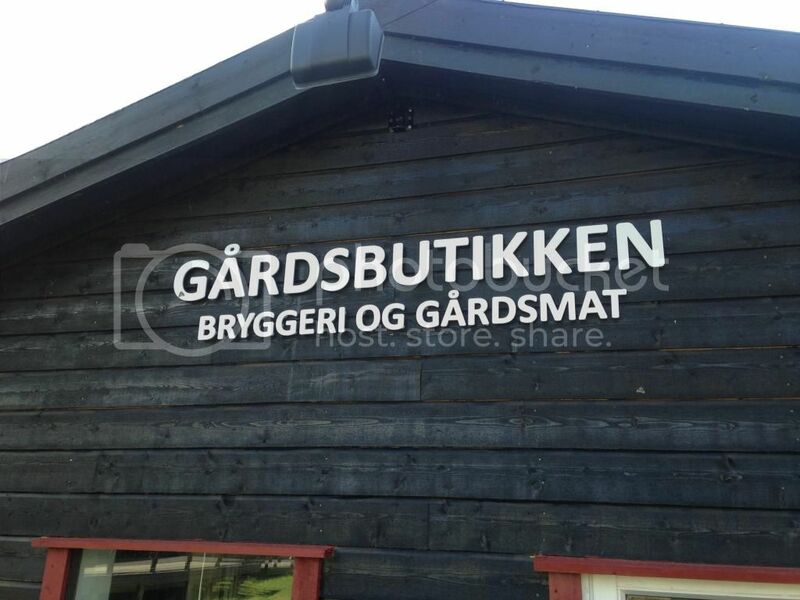 It is some distance to the nearest Systembolaget shop, but they have a network of ombud, meaning you can order your alcohol from Systembolaget and have them delivered to a local supermarket. This is a modern, hi-tech Nordic country, scoring well on all the indicators for good living, so there is of course a web order form on the web page of the shop in Storlien. I carefully select four beers from the Åre brewery, 60 kilometers further into Sweden, add a few of the more interesting Oktoberfest beers listed in the Systembolaget app, plus a dozen imports from their special order list. I click send on the form, and hope a week is enough for the delivery. Ten minutes later I get a call. From Sweden. From the man handling the alcohol deliveries at Konsum Storlien. Tyvärr, noen of the beers you have ordered are available through our shop. 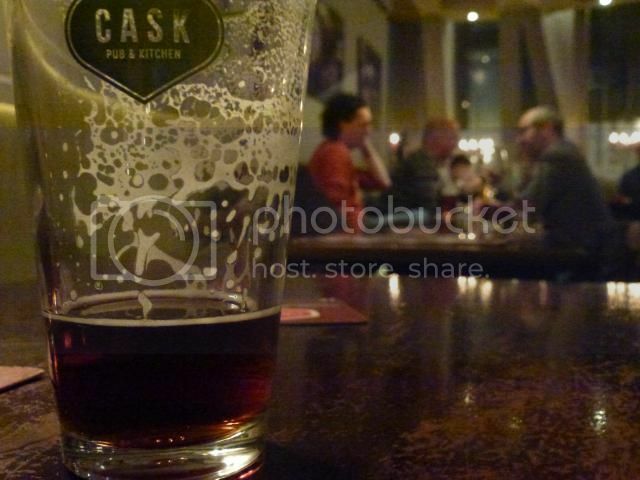 -Nor even the ones from the local Åre brewery? -We don’t get our supplies from Åre. We get them from the regional warehouse in Sundsvall. and they do not carry the Åre beers. And the ones from the special order list – we do not carry them. One more argument for reforming the system, then. What looks like an impressive network of shops boils down to delivery of Carlsberg and Koskenkorva.